I hope you enjoy this Chicken Milanese Recipe – Milanesa de Pollo Mexicana. In Mexico, the main meal of the day is often served between 1:00 and 3:00 PM in the afternoon. This happens to be at the same time that most children get home from school, and the first thing they usually do when they get home is to ask their mom what’s for lunch. Can you imagine the face of a kid who has just been told that they will be having Chicken Milanese with spaghetti in tomato sauce? You can guess they would be pretty excited! 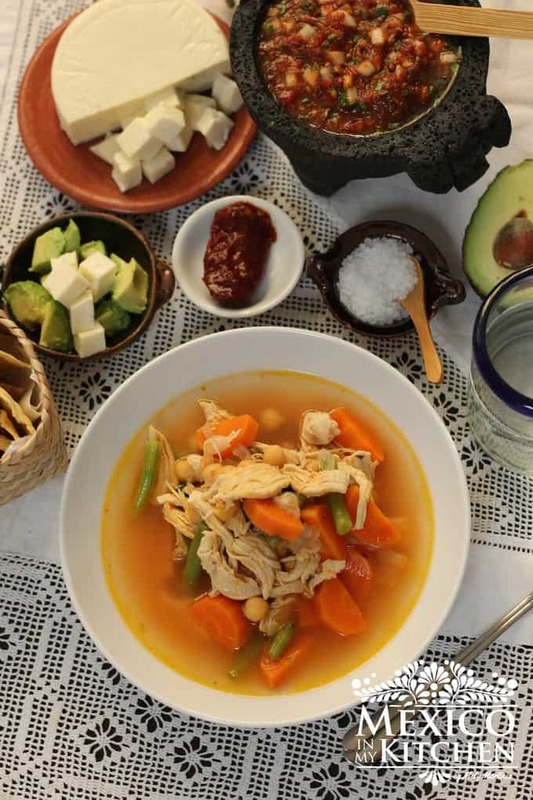 This dish is loved by children all throughout Mexico, who will rejoice when they come back from school and have this meal waiting for them. My son was no exception! 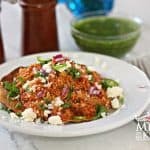 Milanesa de Pollo (Chicken Milanese) might not seem like a Mexican dish, but it is actually a popular midday meal in many homes and can be found in most cafeteria-style restaurants. Additionally, almost every restaurant that serves tortas (Mexican sandwiches) will most likely offer a “Torta de Milanesa”. Our gastronomy has had many influences throughout the years, especially from Europe, and this dish is a clear example of that. It is pretty obvious that this Chicken Milanese recipe is derived from the famous Veal Milanese from Italy, and many countries in Latin America have some form of breaded cutlet that they call “Milanesa”. The cutlet can be made out of chicken or beef, and it can be served with a variety of side dishes that change from region to region and household to household. In Europe, a Milanese-type cutlet would be served with a salad, mashed potatoes, or pasta. 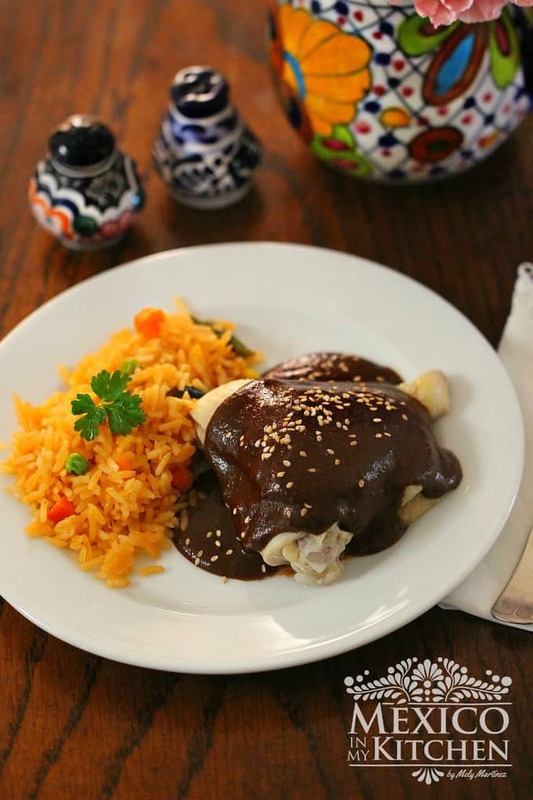 We serve it like that in Mexico, too, but sometimes (especially at home) we might plate it with a side of Mexican red rice, a salad with a few slices of avocado, some warm corn tortillas, and spicy homemade salsa. What kind of cut of chicken meat is used to make Chicken milanesas? Usually, Chicken breast are used to make the Milanesas, cut the chicken breast in half lengthwise and the pound them for a thinner milanesa. What type of oil do you use to cook Milanese? Use vegetable oil, canola, peanut, corn, and vegetable oil are better suited for frying since they are more resistant to higher temperatures. You want golden milanesas, not burn ones. Can I freeze the already breaded chicken cutlets? Yes, you can, make sure you place a piece of plastic between each milanesa. What can I do with leftover Milanesas? Make a Milanesa Torta, a Mexican Sandwich using crusty rolls. To reheat the milanesa, place them in a preheated oven at 350F. Wrap them in aluminum foil and place in the oven for 15 minutes. You can also use them to make tacos, like our Leftover Tacos. I know that however you decide to serve this dish, it will be a hit with all the members of your family, especially the young ones! If you would like to season the chicken with fresh garlic and black pepper, grind 2 small garlic cloves and 8 peppercorns in your Molcajete (stone mortar). I typically make the chicken (or beef) Milanesa with ground saltine crackers. Only 1¼ of the individual packages is enough for this recipe. Place one chicken breast in a plastic freezer bag. Using a meat pounder, a heavy skillet, or a rolling pin, gently pound the meat. Work slowly from side to side to ensure an even ¼-inch thickness. Repeat with the other outlets. Season the chicken cutlets with the onion, garlic powder, salt, and pepper. Beat the eggs in a large bowl and place the chicken breasts in this egg mixture. Spread the breadcrumbs in a large dish. Have another large dish ready to put the chicken cutlets in after breading them. With the help of your kitchen tongs (or with your hands), place one chicken cutlet in the breadcrumbs. Turn to coat both sides, and turn again (if needed) until it’s well covered with the breadcrumbs. You can lightly pat it, making sure the breadcrumb coating adheres to the chicken. Place the breaded chicken on the separate plate and keep breading the rest of the cutlets. Heat the oil in a large frying pan over medium-high heat. Once the oil is hot, place the breaded chicken breasts in the pan to cook (without overcrowding the pan). Cook the chicken Milanese for about 5 minutes per side and then place them on a plate that has been covered with napkins (in order to absorb any excess oil). 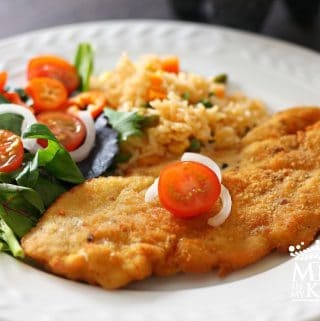 Serve your Chicken Milanesa – Milanesa de Pollo with rice and a salad (or any of your preferred side dishes). I used a 12″ Frying Pan to make this Chicken Milanese and to turn them while frying Silicone Tongs. Chicken Milanese Mexicana, a meal crispy and golden treat for your dinner. Chicken Milanese might not seem like a Mexican dish, but it is actually a popular midday meal in many homes and can be found in most cafeteria-style restaurants. Cut the chicken breasts into thin cutlets. To do this, please a chicken breast on a cutting board and use a sharp knife to slice it horizontally into two thin pieces (use the palm of your hand to hold the breast in place while cutting). Repeat this process with the rest of the chicken breasts. Heat the oil in a large frying pan over medium-high heat. Once the oil is hot, place the breaded chicken breasts in the pan to cook (without overcrowding the pan). Cook them for about 5 minutes per side and then place them on a plate that has been covered with napkins (in order to absorb any excess oil). Serve with your Chicken Milanesa - Milanesa de Pollo with rice and a salad (or any of your preferred side dishes). I hope you enjoy our Milanese recipe, or as we say at home “Milanesa de Pollo”, and don’t forget to check our beef milanesa recipe. If you make this Chicken Milanese at home, come back to let us know. I was delighted to find my favourite tortas place in San Miguel de Allende used crushed soda crackers for breading the milanesa. This was what my mother used for fried oysters, one of her signature dishes. The saltines impart a distinctive flavour to whatever you bread them with.